A young widow's inspiring and informative story of faith, bereavement and single parenthood. 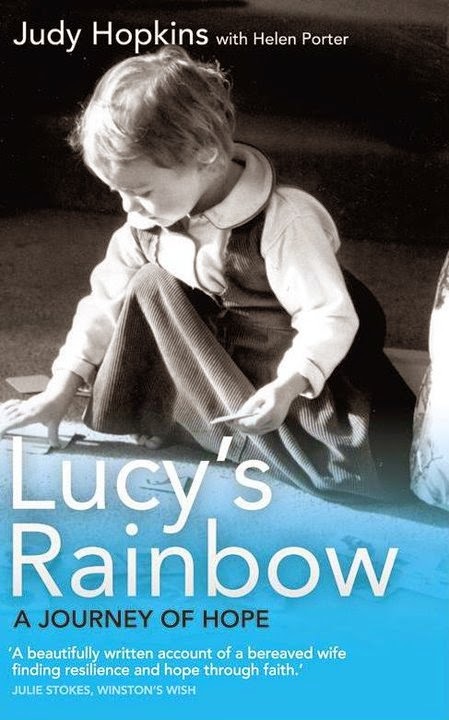 Judy Hopkins has drawn on her training at the London School of Theology and her experience as a hospice nurse to help her write ‘Lucy’s Rainbow.’ This journey of hope tells the true story of Judy and her husband and how she coped as a widow and single parent of two young girls after his unexpected death at age 38. Judy has spoken at conferences, been interviewed on TV and radio, and written various articles. She is keen to share her experiences. Her passion is to share the love and faithfulness of God, a love which never gives up whatever one’s circumstance. Judy is happy to speak or give seminars to any group or organization. Whilst faith is fundamental in her story, she has heartfelt insights to share on the many and varied aspects of bereavement, including how individuals can mutually support one another. Judy is also able to talk from a biblical passage and speak on various inspirational themes such as hope and forgiveness. Click here to email Judy. ‘Lucy’s Rainbow, A Journey Of Hope’ is published by Authentic Media and may be purchased via their site or Eden , Waterstones and W.H.Smith. My interview on UCB TV. Hearts Wide Open - Judy Hopkins from United Christian Broadcasters on Vimeo. AFTER just seven years of marriage Judy Hopkins' husband Russ died of leukaemia in hospital in Bristol. This achingly poignant memoir is testament to faith, hope and clarity of vision. Lucy, their youngest daughter, was keen on rainbows, drawing them, smearing them with dregs of yoghurt on the kitchen table - and they became a sign of God's promise to never leave them at times of sorrow and gladness. Those who have lost loved ones will recognise that understandable moment of sadness when they leave this realm followed by that joyous realisation that they have crossed 'over the rainbow' and claimed their treasure in heaven. Judy writes poignantly of Russ's battle with leukaemia, of the depths of suffering they endured, and of the grief felt by his wider family. But in the end it is that sure and certain vision of hope which keeps them 'looking upward every day' and that hope shines through every page of a truly inspirational memoir that many can identify with and take comfort from. Judy’s book is a well-written account of finding direction, a life-partner, a much-loved family, bereavement and subsequent hope – not a complete life but quite a saga nonetheless. It’s worth reading especially for the immensely real and deeply felt engagement in the realities of life’s challenges which any one of us can appreciate and identify with. By Robert Willoughby, Programme leader and lecturer in New Testament at London School of Theology. I have not read a book in a long time which has made me laugh, smile and cry as Lucy’s Rainbow has. In addition, it has been quite a while since I finished a book in one day! I highly recommend this book to anyone, regardless of your religion as I believe this book can be many things to many people. For me it was a story of hope, friendship and love. It is beautifully and tastefully written and there are moments in the book that I will remember forever. I think this book is appropriate to give to someone who has lost a loved one whether that someone is a partner, parent or child and I am certain it would offer hope that there is a way of learning to live without that loved one, albeit that the road there is hard. A page turner that I can imagine being made into a film! Highly recommended and I wish the author every success and happiness. I read this little book quickly on a Sunday afternoon. I know that words like 'inspire' and 'encourage us to be more hopeful' can sound like clichés. This story certainly isn't a cliché, and it really tugged at my heartstrings. Judy’s husband died of cancer, but this book is not only for bereaved spouses. Certainly, I would direct a widow/widower towards it but it would be a shame to plonk it on the self-help shelf, because Judy Hopkins is one incredible warrior for God. I was amazed by her strength of character and her faith. Self-pity was pushed to one side in favour of her positive, punchy style. She and her husband met early on - but they didn't marry until much later, and Judy never complained to God, never blamed Him for the short amount of time she and her beloved were together. She had some very low moments, though - she doesn't deny that. There were very bleak times ahead for her, mostly in the early mornings after Russell's death. She had to pull through, though - for the sake of her two little girls, if nothing else. I was amazed that someone can experience the death of a loved one like that, yet keep their faith. After reading this, I will be praying that my faith will be half as strong as Judy's, who suffered so much and yet is still such a child of God. Tuesday 25 February 2014 Spoke at Cambray Baptist Church Cheltenham Womens Fellowship on Growing My Trust in God. 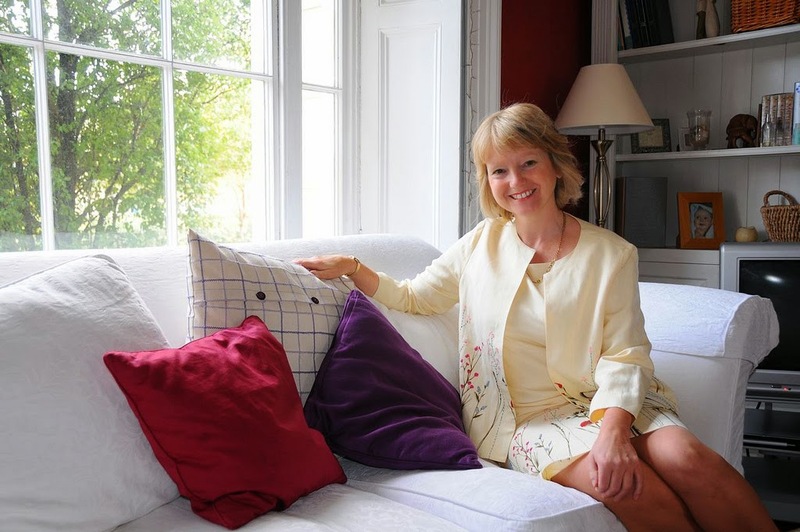 Thursday 21 February 2013 Speaking at Meeting Point Afternoon Group Trinity, Cheltenham. Saturday 28th July 2012 4.30 pm “Hearts Wide Open Program“ on UCB TV. Click on http://tinyurl.com/crh54bl and watch the Hearts Wide Open Program at 4.30pm. I shall be telling my story and answering questions. Friday 27th July 2012 7.30 pm “Hearts Wide Open Program“ on UCB TV. Click on http://tinyurl.com/crh54bl and watch the Hearts Wide Open Program at 7.30pm. I shall be telling my story and answering questions on the program. Perhaps you know of someone who would like to hear of God's faithfulness through a difficult situation..
Wednesday 20 June 2012. Women to Women Show on Premier Radio at 10 am. Saturday 19th May 2012..Women’s Breakfast. Moreton-in-the-Marsh. Details to follow. May 12th 2012 9,00 am Ladies Breakfast in Lea, Malmesbury. Saturday 4th February 2012 Radio Interview for a religious affairs programme called 'Soul Agenda' on a radio station in the south of Ireland called Kclr 96fm was broadcast at 9 am. Saturday 5th November 2011 Signed Books in All Hallows Foyer, Market place, Wellingborough, Northants. Wednesday 19th October Interviewed by Premier Radio on the Woman to Woman Show. Wednesday 19th October 2011.